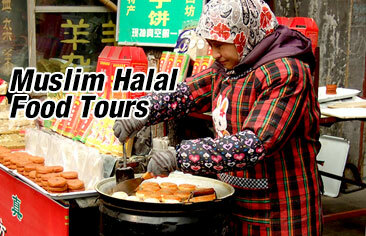 Enjoy this full day tour that offer you a unique tour experience of the ancient capital city of Beijing. Visit the beautiful Summer Palace, admire classical Chinese gardens in Jingshan Park as well as Beihai Park, and experience old Beijing culture by touring the Hutong and courtyards. This guided tour includes free hotel pickup and drop-off, entrance fees listed in the itinerary, and Chinese lunch. Tour is available every day except Monday. Detailed Itinerary: At around 7:00am to 7:30am, meet your guide at your centrally located hotel in Beijing and kick off your tour by heading for Summer Palace, the largest and the most well-preserved royal park in China. It is famed as “The Museum of Royal Gardens”. 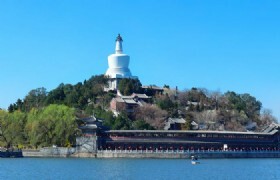 You can take the 30-minute boat trip via famous Empress Cixi Water Way to get into Summer Palace at your own expense. Listening to the lively introduction by our knowledgeable guide, you will be captivated by the harmonious balance between natural landscape, stream, water, and artificial structures including pavilions, bridges, and halls. After the 1.5-hour tour, you will be driven back to the downtown and have lunch. 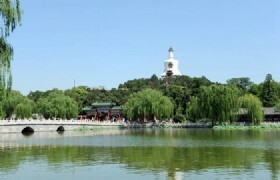 Then continue to Jingshan Park, formerly a private imperial garden attached to the grounds of the Forbidden City. 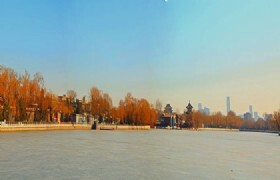 Climb to the Wanchun Pavilion you can get the best panoramic view of the Forbidden City. 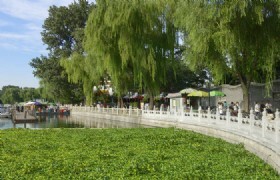 Later you will be taken to the Beihai Park, a former imperial garden first built in the 11th century. Admire the remarkable attractions like White Dagoba and Nine Dragon Screen as you stroll down the park. Head for Shichahai area and take a Hutong Rickshaw to an old courtyard for roughly an hour. 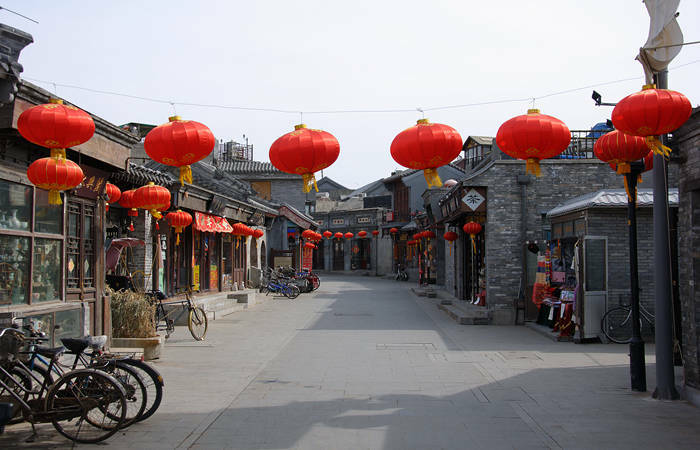 You will have a local family visit to learn about their traditional Hutong life. Tour concludes at 5:00pm in the Houhai Bar Street where you are free to experience the local snacks and Beijing’s nightlife. * Confirmation will be received at time of booking. * This tour is a SIC tour, meaning seat-in-coach, with a driver and a tour guide. You will share a coach with other passengers. Hotel information should be provided 24 hours before departure. * The scheduled hotel pickup time is between 7:00am and 7:30am. Your tour guide will call you at your hotel before 10pm the day prior to tour departure to reconfirm exact time. * If you do not receive a phone call from your tour guide the day before tour departure, please check with the front desk of your hotel for messages or refer to the emergency phone number on your confirmation voucher and call your tour operator. * Please note that pickup service is only available to guests staying at downtown Beijing hotels. If you live in the outskirt of Beijing please go to the KFC Restaurant in Qianmen East Street, nearby the Exit B of Qianmen Metro Station of Line 2. * No refund for no show and late arrival. * After the tour, you will be droped off at the Houhai Bar Street.